We are excited to offer this 2019 Kia Sportage. 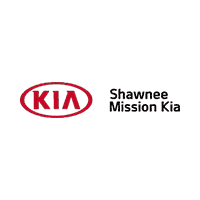 This Kia includes: REMOTE START (KEY START) (PIO) LX POPULAR PACKAGE CARGO MAT (PIO) CARGO NET (PIO) CARPET FLOOR MATS (PIO) *Note - For third party subscriptions or services, please contact the dealer for more information. * Want more room? Want more style? This Kia Sportage is the vehicle for you. Navigate through all the icky weather with ease in this AWD-equipped Kia Sportage, and even get non-stop traction for your non-stop lifestyle! In addition to the amazing traction control, you may even qualify for an insurance reduction with this AWD vehicle. You've found the one you've been looking for. Your dream car. We look forward to seeing you soon! Please call us for more information. We are excited to offer this 2019 Kia Sportage. This Kia includes: REMOTE START (KEY START) (PIO) HYPER RED LX POPULAR PACKAGE CARGO MAT (PIO) CARGO NET (PIO) CARPET FLOOR MATS (PIO) *Note - For third party subscriptions or services, please contact the dealer for more information. * This SUV gives you versatility, style and comfort all in one vehicle. Few vehicles can match the safety and comfort of this AWD Kia Sportage LX. With enhanced performance, refined interior and exceptional fuel efficiency, this AWD Kia is in a class of its own. Look no further, you have found exactly what you've been looking for. We look forward to seeing you soon! Please call us for more information. We are excited to offer this 2019 Kia Sportage. Want more room? Want more style? This Kia Sportage is the vehicle for you. All-wheel drive means peace of mind all the time. This Red AWD Kia enjoys a host offeatures, including exceptional acceleration and superior stability so you can drive with confidence. You've found the one you've been looking for. Your dream car. Based on the superb condition of this vehicle, along with the options and color, this Kia Sportage LX is sure to sell fast. We look forward to seeing you soon! Please call us for more information. We are excited to offer this 2019 Kia Sportage. This Kia includes: CARGO NET (PIO) CARGO COVER (PIO) REMOTE START (PUSH-BUTTON START) (PIO) CARPET FLOOR MATS (PIO) *Note - For third party subscriptions or services, please contact the dealer for more information. * Want more room? Want more style? This Kia Sportage is the vehicle for you. Simply put, this all wheel drive vehicle is engineered with higher standards. Enjoy improved steering, superior acceleration, and increased stability and safety while driving this AWD KiaSportage SX Turbo. You can finally stop searching... You've found the one you've been looking for. We look forward to seeing you soon! Please call us for more information. We are excited to offer this 2019 Kia Sportage. Want more room? Want more style? This Kia Sportage is the vehicle for you. This vehicle has an added performance bonus: AWD. It improves handling on those winding back roads, and gives you added safety and control when driving through wet and snow weather conditions. Just what you've been looking for. With quality in mind, this vehicle is the perfect addition to take home. You've found the one you've been looking for. Your dream car. We look forward to seeing you soon! Please call us for more information. We are excited to offer this 2019 Kia Sportage. Want more room? Want more style? This Kia Sportage is the vehicle for you. Enjoy the comfort and safety of this AWD Kia Sportage SX Turbo equipped with many standard features found on other vehicles as optional equipment. This is the one. Just what you've been looking for. You can finally stop searching... You've found the one you've been looking for. We look forward to seeing you soon! Please call us for more information. We are excited to offer this 2019 Kia Sportage. Want more room? Want more style? This Kia Sportage is the vehicle for you. All-wheel drive means peace of mind all the time. This Klg/grey AWD Kia enjoys a host offeatures, including exceptional acceleration and superior stability so you can drive with confidence. Just what you've been looking for. With quality in mind, this vehicle is the perfect addition to take home. The Kia Sportage SX Turbo will provide you with everything you have always wanted in a car -- Quality, Reliability, and Character. We look forward to seeing you soon! Please call us for more information. We are excited to offer this 2019 Kia Sportage. Want more room? Want more style? This Kia Sportage is the vehicle for you. You'll love the feel of AWD in this 2019 Kia Sportage. It provides a perfect balance of handling power and control in virtually every driving condition. You could keep looking, but why? You've found the perfect vehicle right here. You can finally stop searching... You've found the one you've been looking for. We look forward to seeing you soon! Please call us for more information.